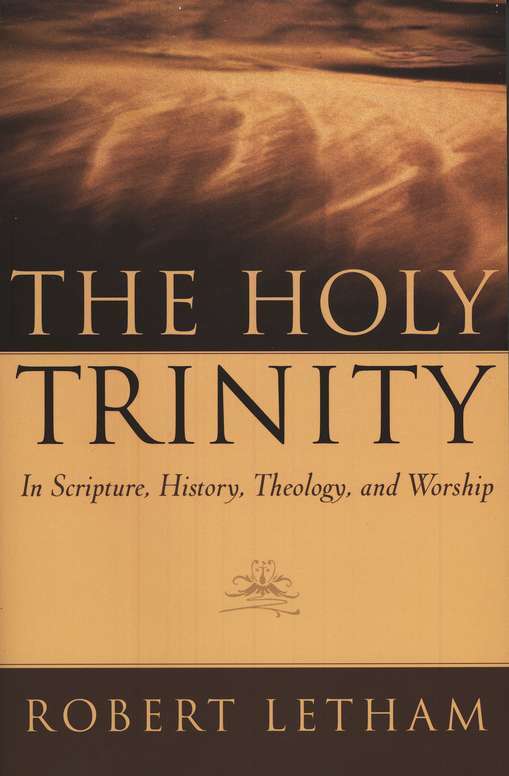 The past few weeks I’ve been chipping away at Robert Letham’s The Holy Trinity: In Scripture, History, Theology, and Worship (P+R, 2004). Its a fantastic book. Letham’s historical overview of the development of the doctrine of Trinity is especially good. He shows how different emphases in the East and West have led toward different challenges. In the West, starting with Augustine and furthered with Aquinas, the emphasis has been on the one divine essence, with the three persons calling for explanation. The recurrent danger has been modalism. In the East, starting with the Cappadocian Fathers and furthered with John of Damascus, the emphasis has been on the three persons, with the unity of God calling for explanation. The recurrent danger has been subordinationism (since the Father is often centralized in the way the divine essence is in the West). In other words, in the West, the order of thought has tended to be 1 –> 3; in the East, 3 –> 1. “No sooner do I conceive of the one than I am illumined by the splendor of the three; no sooner do I distinguish them than I am carried back to the one. When I think of any one of the three I think of him as the whole, and my eyes are filled, and the greater part of what I am thinking of escapes me. I cannot grasp the greatness of that one so as to attribute a greater greatness to the rest. When I contemplate the three together, I see but one torch, and cannot divide or measure out the undivided light.